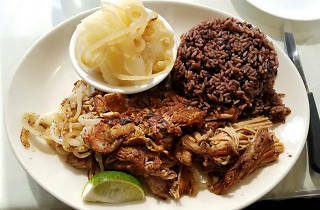 Part of a small chain of Cuban restaurants owned by the Vilariño family, whose hospitality origins date back to the early 1980s, La Casita has built a reputation on honest, home-cooking. 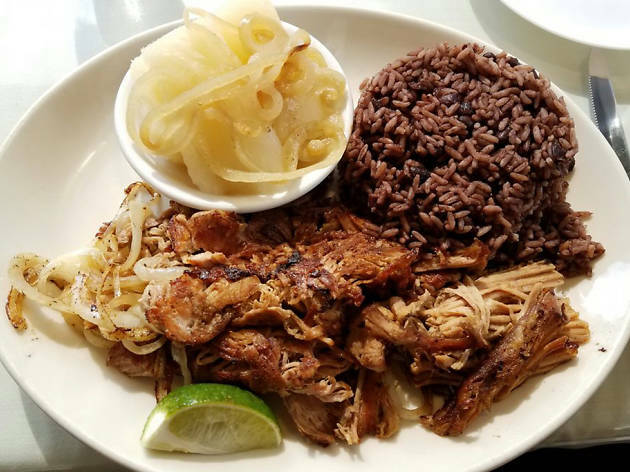 The mostly Cuban menu is peppered with a few Spanish items and healthier dishes, like grilled seafood, but La Casita doesn’t skimp on tradition—even the laborious lechón asado is featured regularly. Service is cheerful and you won’t need to brush up on your Spanish to eat here; there’s generally an English-speaking employee around to help you order.